How Does Poor IAQ in My Home Affect My Health? Indoor air quality (IAQ) is an important consideration for any homeowner. If your Fort Myers, Florida, home is suffering from poor indoor air quality, it could greatly affect your health. Learn how poor IAQ can negatively affect your health so you can be adequately prepared to deal with these potential hazards in your home. Your IAQ can be affected by factors such as dust, pet dander, volatile organic compounds, and biological growth. 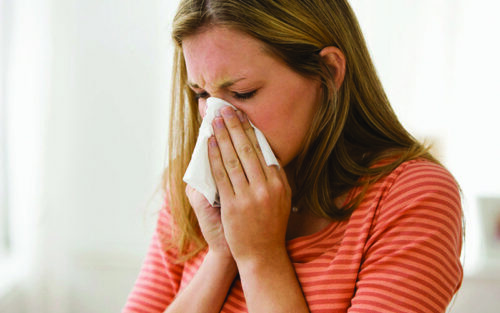 A common sign of poor IAQ is recurrent allergy symptoms. These include symptoms such as dry skin, itchy eyes, sore throat, coughing, sneezing, runny nose, and headaches. A great way to tell if it’s your IAQ that’s causing these health problems is to commit to a deep cleaning of your home. Adding air cleaners is also suggested; this can be technology like air purifiers or even natural sources of purification such as certain types of houseplants. If you notice an improvement, chances are that poor IAQ was making you sick. Unfortunately, if the contaminants affecting your IAQ are toxic enough, they can lead to serious long-term health concerns. The most common sources of these serious health issues are biological growth and volatile organic compounds (VOCs). VOCs are found in many common items, including gasoline, paint thinner, and some cleaning products. These contaminants can also trigger pre-existing health issues like asthma. If you notice that you don’t feel well at home and are experiencing recurrent health issues, getting an IAQ assessment can determine if you have poor IAQ. It’s important to keep your IAQ in mind and take steps to improve it. If you’re concerned about your home’s IAQ, the experts at Certified Heating and Cooling Inc. can help. Give us a call at 239-205-8342 to set up an assessment today!